What brings people back to buy? Personalized deals? Friendly and helpful customer service? Valuable add-on services? How about all of the above. In a competitive world where rivals are just one click away, keeping customers loyal should be at the top of every marketer’s focus. For marketers looking to take their ad budgets as far as possible, consider this: research shows that it costs six times more to attract one new client than to keep an existing one. Attracting new shoppers all the time is important to grow your business, but it’s equally important to focus on customer retention once that first sale is made. No one likes to be treated as a number. The more you know about your customer’s shopping habits and preferences – such as which store they frequent and which items they’ve bought – the more you can tailor both your communications with and the offers you send to get them. CRM and data management platforms have made this vastly easier. For example CRM systems help you keep track of customer purchases and link purchases across accounts via email. And now with the application of machine learning and artificial intelligence, managing your customers and creating offers for them depending on their interactions with your brand or store starts with clean and organized data. While machine learning can make this much easier, don’t overlook old-fashioned ways to personalize your service. Famed British shoemaker John Lobb doesn’t have a conventional loyalty program where clients can collect points, but the brand’s bespoke service measures the client’s foot over the course of several fittings for an ultra accurate and superior fit. 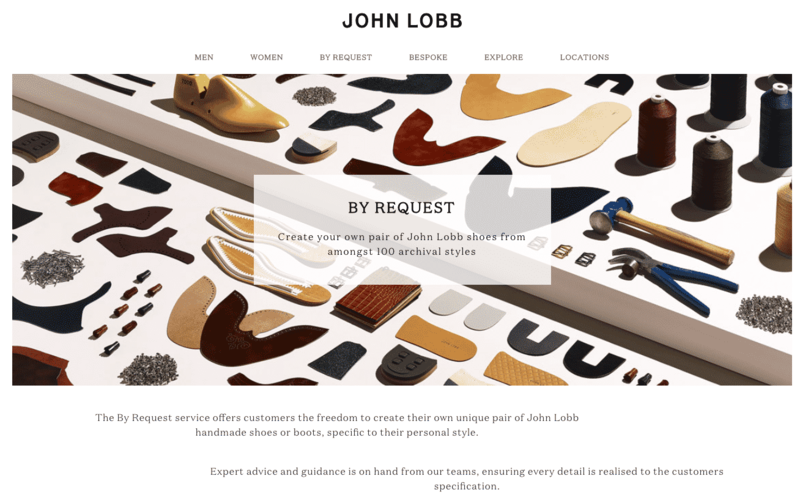 John Lobb’s By Request service lets shoppers choose their own leathers and finishes from over 100 archival styles. Though John Lobb’s business has grown globally and is even carried by major department stores, the shoemaker ensures each pair fits better than shoes made anywhere else – that’s what keeps customers coming back. Sometimes, keeping your customers loyal means letting them pay less. Department store Nordstrom has a customer loyalty program that offers exclusive access to sales like anniversary sales. And, even during regular non-sale periods, the department store will offer price-matching. If a shopper finds a pair of shoes at a rival retailer for 50% off, Nordstrom will match the price even if it’s listed at Nordstrom for full price. This tells shoppers that they can shop at Nordstrom with confidence and accrue loyalty points all the while getting the discount price offered at another store. 3. Don’t just sell, educate. The smartest brands and retailers know that an emotional connection with consumers is key. For makeup lovers, beauty retailer Sephora’s omnichannel loyalty program is one that is extends across desktop, mobile, and in-store. But customers return again and again to Sephora’s website, stores, and app, not only because they can accrue points through Sephora’s tiered loyalty system, but also because Sephora takes the time to educate them on each product page, and through SephoraTV, the retailer’s own collection of video tutorials. From makeup and product tutorials to in-store makeovers, Sephora creates libraries of resources that help customers experience how products are meant to be used. 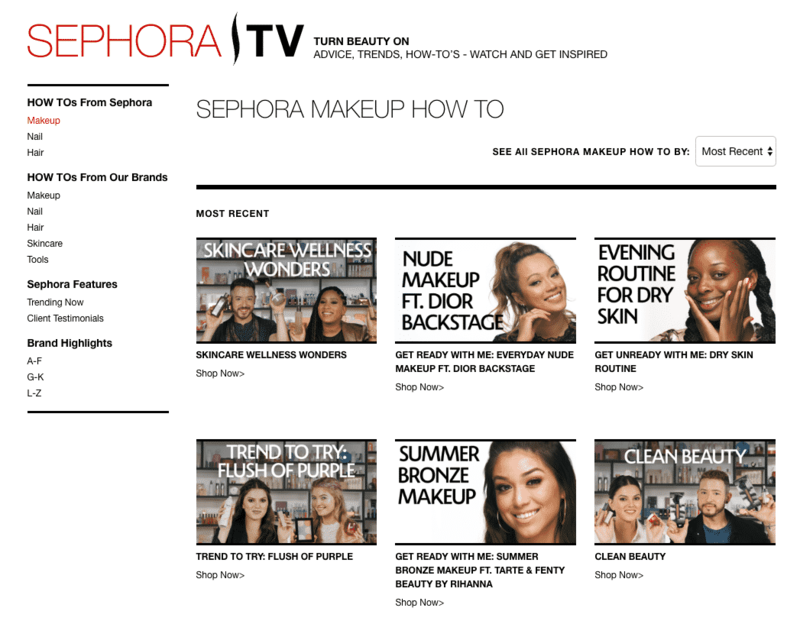 By offering educational content right on product pages and in-store, Sephora becomes much more than a place to buy the latest makeup or skincare. Shoppers can learn which bronzer is best-suited for her complexion, watch how to apply it, and buy it with one simple click, all the while accruing valuable loyalty points that she can redeem for freebies or in-store makeovers. There was once a time where buying something at McDonald’s had the added excitement of Monopoly: if you collected the winning properties by buying certain menu items, you could win anything from a car to gift cards. Sometimes, the best way to keep your customers coming back is to gamify their experience. In retail, there’s more interest in it than ever – 181% more retailers plan to use gamification loyalty programs in the next five years. Marketers who have applied gamification tactics saw a 47% increase in client engagement and a 22% increase in brand loyalty. 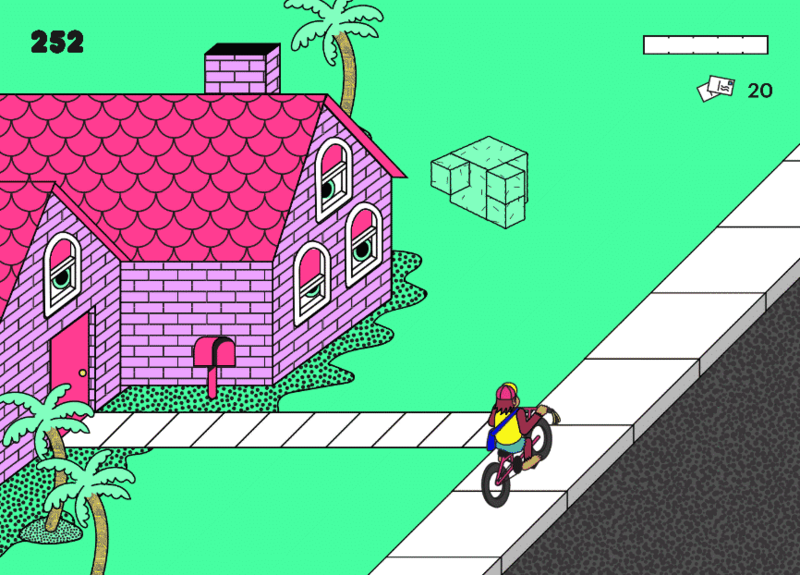 Marketing automation platform Mailchimp builds brand awareness with PostHaste, a mail delivery game that evokes video games of decades past. A young chimp takes on the family business – and responsibility- of delivering mail the old fashioned way: on a bicycle, avoiding pitfalls along the way like shopping carts, gushing fire hydrants and…flying toasters? Players can share their latest high score with friends on social media and the automated caption says it all, “What a fun way to pass some time!” But it’s also a creative way to spread some brand awareness. By making engagement fun and allowing shoppers or customers to participate in a giant game, you can appeal to their competitive nature and, if your game is fun, their friends will want to play too. 5. Help out (or start!) a good cause. Sometimes, the best way to appeal to a customer’s sense of loyalty is not through a points-accumulation program at all, but by supporting a good cause. Today’s consumers want transparency – from which farms their local produce is coming from to whether retailers are doing business in a socially conscious way. Mission-driven brands like clothing retailer Everlane and shoe company TOMS, achieve customer loyalty simply through their mission because of the emotional connection between product and mission. For shoppers who care where and how their clothes are made, Everlane lists the factories it uses on its website, detailing the criteria each factory must meet in terms of treatment of workers, environmental impact, and materials sourced. The company also breaks down the costs of manufacturing to explain the final price passed down to shoppers. TOMS donates a pair of shoes to a child without shoes for each pair sold. 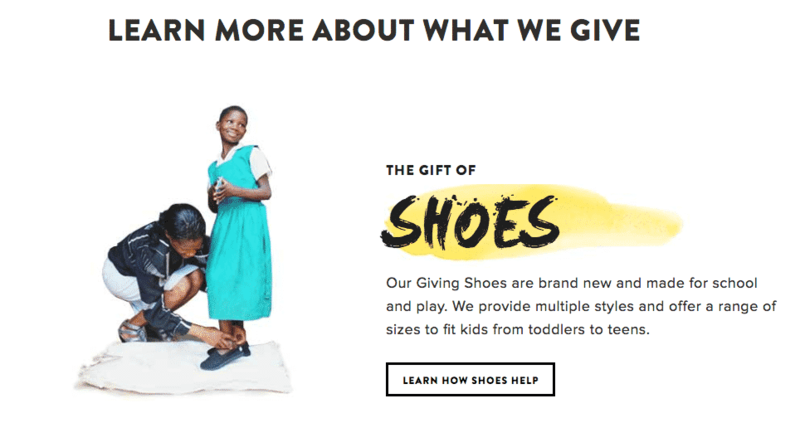 To date, the company has donated over 35 million pairs of shoes. Having comfortable, durable shoes doesn’t hurt sales, either. But a huge part of TOMS success is that socially conscious shoppers connect with the brand’s values and come back to both buy, and contribute. Whether you’re using the latest machine-learning AI and CRM technology or going old school like shoemaker John Lobb, the best customer loyalty programs are the ones that can be accessed wherever shoppers are and offer personalized offers to customers depending on their tastes and shopping habits. Retailers like Sephora and Nordstrom make it easy for shoppers to buy via app or desktop and pickup in store, or shop in-store, and have items delivered free of charge to their doorstep. These options lets shoppers get what they want, when they want, and collect customer loyalty points and additional perks along the way. It’s important to understand what your loyalty program might be lacking – or whether a program is what you need at all. Start by taking stock of where your program is today and asking the right questions: does your program offer benefits your shoppers actually want? Is it a pain or a breeze to sign-up for and access? And most importantly, is it where your customers are? By addressing these questions with your most valuable shoppers in mind, your customers will be coming back again and again. Learn how Criteo Audience Match can help you re-engage: download our handy use cases infographic and talk to a Criteo representative today!